Swashbuckling has come back in a big way with Rare&apos;s sandbox multiplayer pirate adventure, Sea of Thieves. Since first hitting Xbox One and PC in March 2018, the developer has been working on a host of post-launch patches and free DLC – with more staff working on the title now than in the run-up to its original release – and the seafaring title continues to attract more players by offering continual improvements and additional content to the game&apos;s community. According to Rare, within the game&apos;s first year, Sea of Thieves players collected and cashed in almost 750 million chests, skulls and items of cargo to amass a collective fortune of 642 billion gold. As an open-ended online service game, there&apos;s plenty more to come. To help you keep on top of what&apos;s new and what&apos;s coming up, we&apos;ve put together this handy page which will be updated with all the latest announcements. "Sea of Thieves is still in its early days, but I think it’s off to an extremely strong start. It’s clear that the developers are willing to listen to the players, and I expect we’ll see a great many interesting additions to the game in the coming months. "It’s worth saying, though, that the game will need these additions – your friends can only add so much variety to a Gold Hoarders&apos; quest before everyone grows weary. As long as Rare is willing to add to this playground, I expect players will be happy to play in it. " 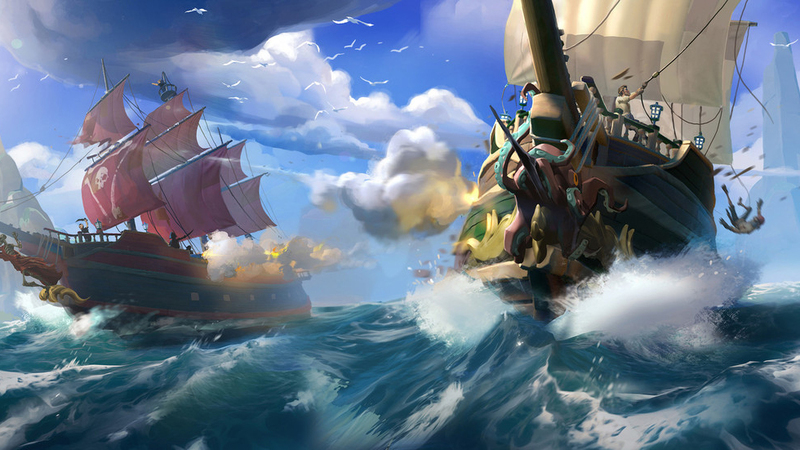 To celebrate Sea of Thieves&apos; one year anniversary, Rare has announced it is rolling out the game&apos;s biggest content update to date. The Sea of Thieves Anniversary Update will add three key new features: The Arena, The Hunter&apos;s Call and Tall Tales. The Arena is a new PvP competitive game mode that sees crews going head-to-head to collect the most loot. Meanwhile, the Hunter&apos;s Call is a new Trading Company that gives you more ways to play and progress towards Pirate Legend. 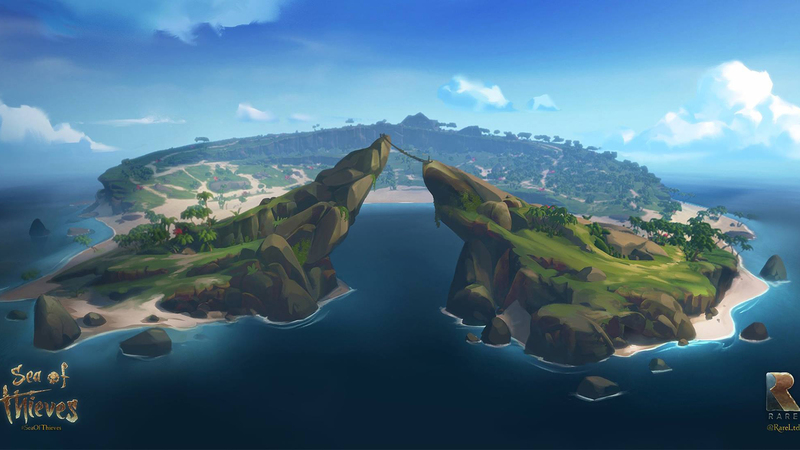 However, arguably the most exciting new feature is Tall Tales – a collection of story-rich quests that are played out in Sea of Thieves&apos; shared world and can be fully experienced by yourself or with your crew. The first collection of Tall Tales will be the Shores of Gold. In addition, Rare is treating players to a host of celebratory rewards such as new Mercenary Voyages, a new Reaper&apos;s Run Voyage, Commendations and cosmetics. There&apos;s also a special Gilded Mercenary Voyage of Legends for Pirate Legends. Not enough for you? There&apos;s a bunch of special rewards for those who played during the first year such as Captain Bones&apos; Original Pirate Cutlass. While any player who attained Pirate Legend status during the first year will receive a Golden Legendary Tankard, a Golden Legendary Hurdy-Gurdy, a Golden Legendary Blunderbuss and Golden Legendary ship customisations including a Sail, Hull and Figurehead. Sea of Thieves is now available on PC and Xbox One. It&apos;s possible to purchase the game outright, but you can also pick up an Xbox Game Pass subscription where the entire game is included. If you&apos;re not sure whether Sea of Thieves is for you, picking up a Game Pass trial for free and playing the game for a short time through it is a good way to find out. The game is not a port for PC or Xbox, it works equally on both and supports cross-play. While the console version has locked frame rates of 30fps, the PC version&apos;s are unlocked. Mouse, keyboard and controllers are all supported across console and PC.